Robert Peel was the British Prime Minister from 1834 to 1835, and from 1841 to 1846. He most well-known for starting the first police force in Britain. Robert Peel was born in Bury, Lancashire in 1788. He was an excellent student, and he attended Oxford University, studying classics and mathematics. His father, Sir Robert Peel, was a very wealthy textile manufacturer, and he was also a Member of Parliament. As a result of his father’s influence and political connections, Robert Peel became a Member of Parliament when he was only 21. Robert Peel held a number of government posts (in both England and Ireland) before becoming Home Secretary in 1822. In 1829, Robert Peel set up the Metropolitan Police Force based at Scotland Yard. He employed 1000 police constables and they became known as ‘Bobbies’ or ‘Peelers’. The ‘Bobbies’ were quite unpopular at first, but they did succeed in reducing crime in London. Robert Peel was twice the Prime Minister of Britain. His first term (from 1834 to 1835) was as leader of a minority government, but his second term (from 1841 to 1835) saw him as leader of a Tory (Conservative) majority. During his time as Prime Minister, Peel reintroduced income tax in order to reduce taxes on goods. In 1844 Peel introduced the Factory Act, limiting the number of hours that women and children were permitted to work in factories. 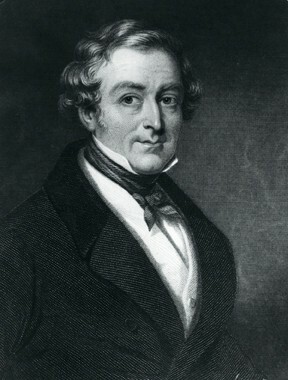 Robert Peel served as MP for Tamworth from 1830 to his death in 1850. He is credited with breeding the first Tamworth pig, by crossing pigs local to Tamworth with pigs from Ireland. Robert Peel had five sons and two daughters. He died in 1850 following a riding accident. Robert Peel is often referred to as the founder of modern conservatism, and as the father of modern policing. Click here to find out about other famous Victorians. Glad you liked it! Thanks for using Primary Facts. Its really helped me with my Robert Peel work.Thanks!